Epigenetics is defined as the environmental impact on gene expression, explaining how genes can be influenced to alter genetic health expression, like an on/off switch. Correctly applied Nutrigenomics (genetically-individualized nutrition) is a positive environmental factor with the potential to improve genetic predisposition to illness, by slowing or halting many contributors to disease.2 This supports what we’ve known for a long time: that given what it needs, the body can balance and heal itself. Over the years of helping clients optimize their health through nutrigenomics and other alternatives, I’ve witnessed some amazing results including: successfully reducing harmful pharmaceuticals (with physician oversight), and addressing difficult to treat conditions like cancer and autoimmune. Knowledge of genetics within my practice has allowed for a smooth crossed over into another area of passion: medical cannabis therapy. Contrary to it’s abhorrent social reputation in the last century, cannabis is proving to be a source of vital nutrients needed to maintain balance in the body, providing a perfect compliment to almost any nutrigenomic regimen. Of course, unique varieties of cannabis exert varying effects on individuals, an issue that may be resolved through a new process allowing for genetic guidance of cannabis therapy. Genetically guided cannabis is very cutting edge and complex; creating overlap of several emerging sciences: the endocannabinoid system, human genetics, cannabis genetics, and botany. Endocannabinoid science explains how medical cannabis therapy may benefit those suffering from chronic illness, and why many patients report cannabis is more effective than pharmaceuticals. Cannabis is remarkably safe overall. Cannabinoids promote systemic homeostasis, and is also potentially curative for many diseases.7 Few pharmaceuticals produce a curative effect, making cannabis a superior intervention for chronic illness. Assessing an individual’s genetics specific to the Endocannabinoid System (including other system pathways that overlap) can help to guide cannabis therapy. Assessing specific genetic involved with the endocannabinoid system is proving useful for reducing the “trial and error” phase when beginning to utilize cannabinoid therapeutics; while also providing more consistent and positive health outcomes. Several pathways are assessed to determine which cannabis components may best fit an individual’s needs. The process of genetic screening is especially important in pediatric applications of cannabis therapy, because methylation pathway mutations predispose neurodevelopmental risks with child/adolescent use of cannabis.17 Methylation mutations are linked to chronic illness, by contributing to harmful systemic inflammation, and dysfunction in both the immune system and detoxification.18 The main reason most seek cannabis therapy for a minor child is chronic illness, making this is a common consideration for children who may benefit from cannabis therapy. To clarify, this does not mean that children and adolescents (even with methylation mutations) should not use medical cannabis when it’s indicated. Rather, the information supports that methylation should be optimized with targeted supplementation (nutrigenomics) to mitigate risk factors. In addition to screening genetics to improve cannabis therapy, full genome assessment and applied nutrigenomics may help address other pathway mutations implicated in chronic illness. A favorite analogy to describe the potential of combining nutrigenomics and cannabis therapy is a sink that’s overflowing with imbalances, thereby causing chronic illness symptoms. Starting cannabis therapy helps the body start balancing, and can be likened to taking the plug out of the drain in this overflowing sink scenario. Applied nutrigenomics can slow or turn off the running faucet; creating a powerful duo for systematic rebalancing and chronic illness recovery. The intention of this article is to spread knowledge about related issues and options, allowing patients and medical professionals alike, awareness of the power of using human genetics to guide cannabis therapy. This comprehensive approach represents the future of medical cannabis, and offers a viable option for individualized systematic healing from widespread chronic illnesses that are prevalent today in our society. Watters, E.(2008) DNA is not destiny. Piomelli, Daniele (2002). The molecular logic of endocannabinoid signaling. Nature Reviews Neuroscience 4, 873-884 (November 2003). Grant, I., & Cahn, B. R. (2005). 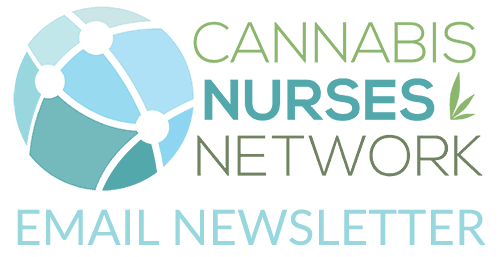 Cannabis and endocannabinoid modulators: Therapeutic promises and challenges. Clinical Neuroscience Research, 5(2-4), 185–199. Smith, SC, Wagner, MS(2014). 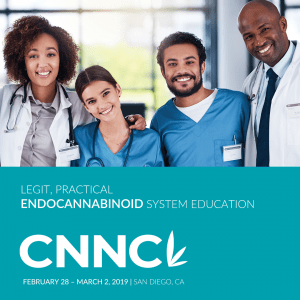 Clinical endocannabinoid deficiency (CECD) revisited: can this concept explain the therapeutic benefits of cannabis in migraine, fibromyalgia, irritable bowel syndrome and other treatment-resistant conditions? Neuro Endocrinol Lett. 2014;35(3):198-201. Department of Chemistry, Kennesaw State University. Endocannabinoid structure-activity relationships for interaction at the cannabinoid receptors. Prostaglandins Leukot Essent Fatty Acids. 2002 Feb-Mar;66(2-3):143-60. DiMarzo, V., Lutz. B.(2014). Genetic dissection of the endocannabinoid system and how it changed our knowledge of cannabinoid pharmacology and mammalian physiology. Sammit, S., Owen, MJ, Evand, J., et al (1995). Cannabis, COMT and psychotic experiences. Br J Psychiatry. 2011 Nov;199(5):380-5. Siniscalco, D., Bradstreet, J., et al (2014). The in vitro GcMAF effects on endocannabinoid system transcriptionomics, receptor formation, and cell activity of autism-derived macrophages. Journal of Neuroinflammation 2014, 11:78. Basavarajappa, B. S. (2007). Neuropharmacology of the Endocannabinoid Signaling System-Molecular Mechanisms, Biological Actions and Synaptic Plasticity. Current Neuropharmacology, 5(2), 81–97. Cabral GA1, Staab A.(2005). Cannabis effects on the immune system. Handb Exp Pharmacol. 2005;(168):385-423. DiForti, M., et al (2012). Confirmation that the AKT1 (rs2494732) genotype influences the risk of psychosis in cannabis users. Biol Psychiatry. 2012 Nov 15;72(10):811-6. Neuroscience & Biobehavioral Reviews. High times for cannabis: Epigenetic imprint and its legacy on brain and behavior. Neuroscience & Biobehavioral Reviews, May 12, 2017. Lertratanangkoon K, Wu CJ, Savaraj N, Thomas ML. Alterations of DNA methylation by glutathione depletion. Cancer Lett. 1997 Dec 9;120(2):149-56. For more information about genetically guided therapy and nutrigenomics assessment.